Albania is one of the poorest countries in Europe. Although vast economical improvements have been made whilst the country undergoes a political transition, Albania still faces high rates of unemployment and urban poverty with few employment opportunities for a large portion of the population. We, therefore, provide orphan sponsorship, vocational training, and food support to assist local families and responding to local disasters. Albania has experienced stable economic growth in recent years yet poverty still continues to plague large segments of the population. Around half a million people across Albania live below the national poverty line on just €1 a day. For thousands of families, particularly those in rural areas and mountainous regions, poverty is a daily reality. With poor access to clean water, sanitation, health, and education, these families are struggling to build brighter, more stable futures. When disasters such as flooding hits communities are therefore incredibly vulnerable and lacking in critical supplies. In March 2018 for example, flooding in the region of Shkoder impacted around 8,000 locals with 250 families forced to flee their homes and families subsequently losing their livestock. 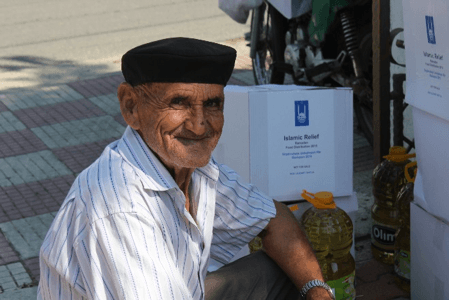 Islamic Relief began working in Albania in 1991 following the collapse of the communist government, delivering a large shipment of food and clothes to families in Vlora. We later registered our office in Tirana in April 1992, and have been working there ever since, opening a second office in Shkoder when we set up a school and community centre, providing vocational training to thousands of people over the years to help access employment. This has been so successful that we later opened another training centre in Koplik in 2006. Alongside the construction of roads, water systems and irrigation networks in rural areas, we have been able to crucially improve communities’ ability to earn a living and support themselves over the long-term. 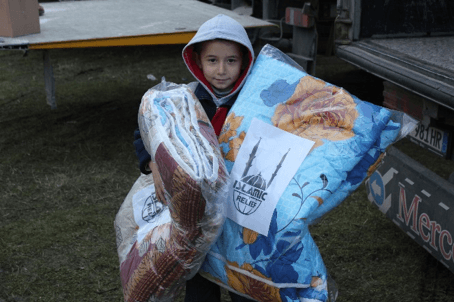 To support communities across Albania, we continue to offer seasonal Ramadan and Qurbani relief and annual orphan sponsorship. In response to local emergencies, we were also on the ground almost immediately when record rainfall in February 2015 triggered widespread flooding in the south of Albania and again in the northern region of Shkoder in 2018. We distributed a range of essential relief including food, drinking water, soap and blankets and remain ready to respond to any further disasters.